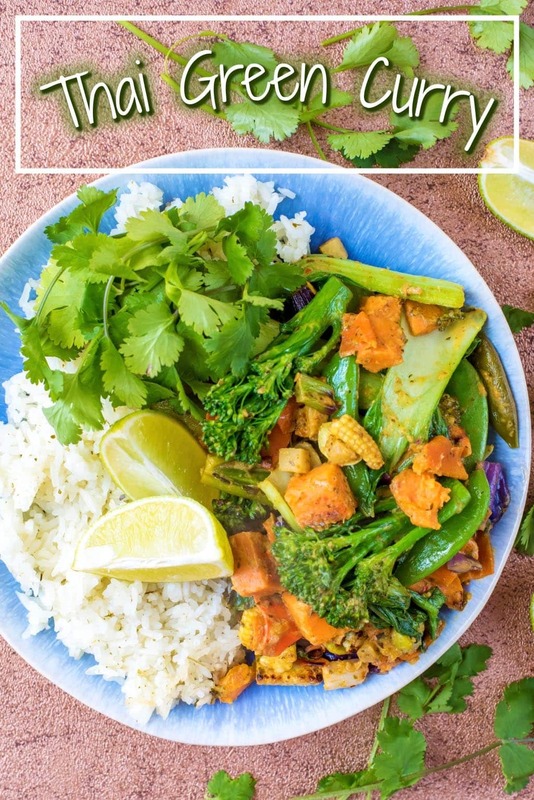 Thai Green Curry is mild, fragrant and light and this vegetarian version is bursting with goodness. Easily adapted to add chicken, beef or fish, it’s the perfect way to save money from ordering a takeaway. When we went to Thailand a few years ago, the thing I was most excited about was the food (shocking, right?). Sure, the stunning islands and beaches, the rich history and culture and the friendliest people in the world were a big draw for us. But… the food! The food was what made us book those flights to Bangkok. 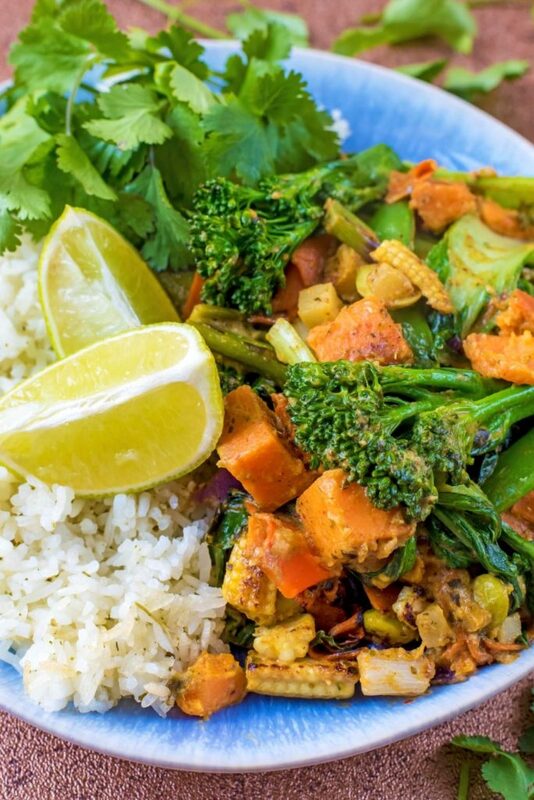 Do you want to be kept up to date on more delicious recipes like this Thai Green Curry? Please subscribe to the blog mailing list (it takes 30 seconds). You will get sent the new recipes straight to your inbox. Your email address won’t be passed on to anyone and you will never be spammed. I remember the amazing smell as we came out of baggage claim like it was yesterday. Coconut, lemongrass, chilli, fresh coriander – it was all around us as soon as we stepped off the plane. Even in arrivals at the airport there were incredible Thai fast food options to grab before you headed to your accommodation. Good job we did, as our cab took 3 hours to get there in crazy Bangkok traffic. Note: if you are going to Bangkok, get the train from the airport – it’s much easier. One of the things I was most excited to try was a Thai green curry (and Pad Thai and papaya salad). It’s probably the most popular Thai dish here in the UK and we eat it pretty often, so I wanted to see if it tasted any different there. Surely it couldn’t taste that different? Well, it did. It was 10 times better than i have ever tasted before, so I guess that goes to show how important surroundings are. 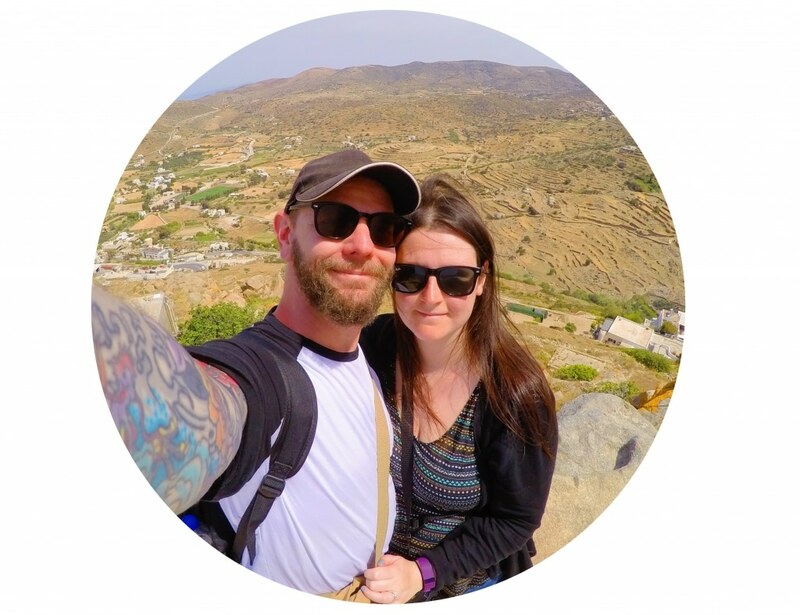 I celebrated my birthday whilst we were on the island of Koh Samui in Thailand and Dave surprised me with a Thai cooking course where he had arranged for us to learn how to make all my favourite Thai dishes. 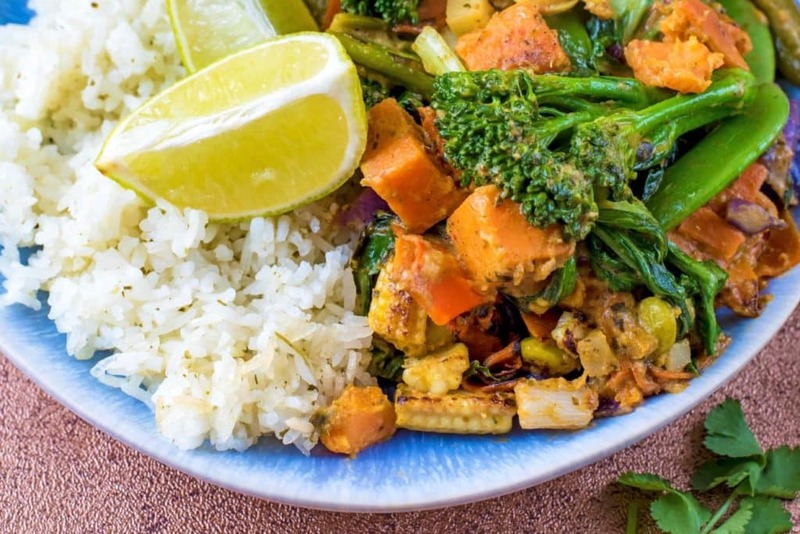 I’ve taken a lot of what I learned that day and put it in to this delicious veggie packed Thai green curry. I know those little jars of curry paste are convenient and they definitely have their place (we use them for quick meals), but it’s so easy to make your own paste, so why not give it a try! It’s so satisfying sitting down to a meal that you have cooked 100% from scratch and this is the paste that our lovely cooking teacher, Pai, taught us to make. You know that we are all about packing as many vegetables as we possibly can in to a meal. Well, I think we succeeded with this one. 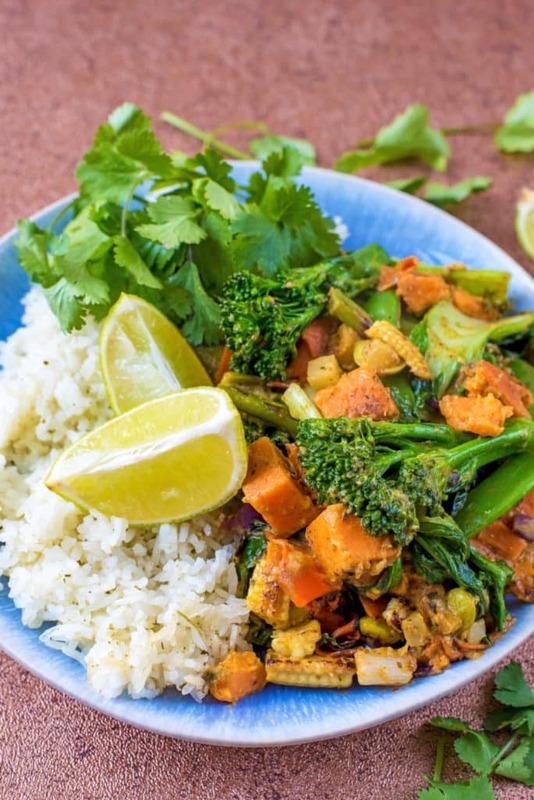 There is chunks of sweet potato and butternut squash to make it filling and hearty; there is pak choi and tenderstem broccoli to add lots of greens; and the pepper and mange tout give it a nice crunch. I am not sure there is much else you could ask from a vegetable curry. 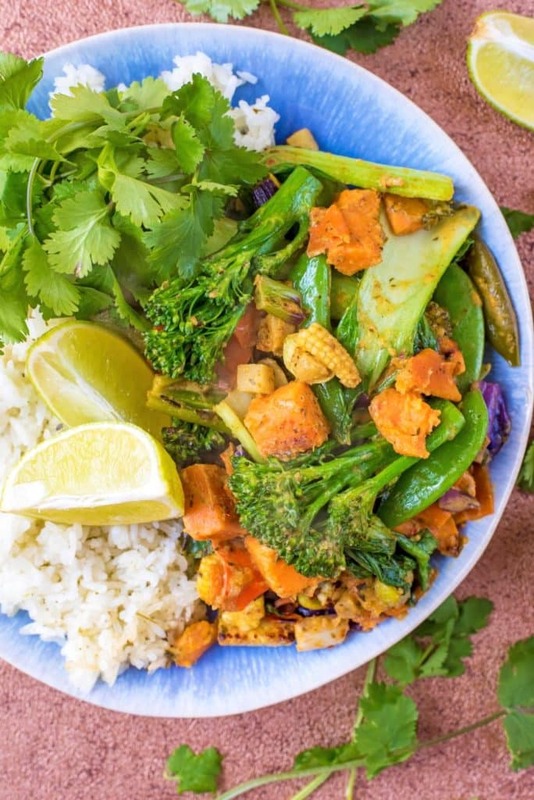 If you are looking for another delicious Thai recipe to try, then check out the Healthier Thai Red Curry over on the Kitchen Sanctuary blog. It includes all the delicious spices you need to be able to make your own paste too. Why are there not more Thai recipes on the blog? Honestly, I really have no idea! I have always loved Thai food, since my Dad took me to my first Thai restaurant about 18 years ago. I love that it is spicy, but not so spicy that all you can taste is the heat, but it is so fragrant and full of flavour too. It is also really quick and easy to make, meaning that Thai Green Curry is a week night staple in our house. Got leftovers? This freezes really well too! 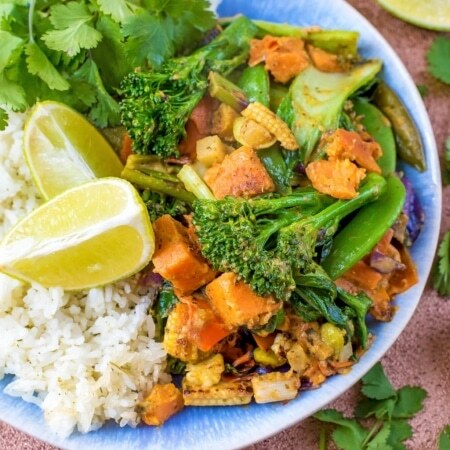 This Thai Green Curry is vegan, but you can easily add meat or fish, if that is what you prefer. It’s low in calories too, considering how filling it is. A big bowl (without rice) is just 361 calories. So, it’s Friday and a takeaway tonight might be on your mind. 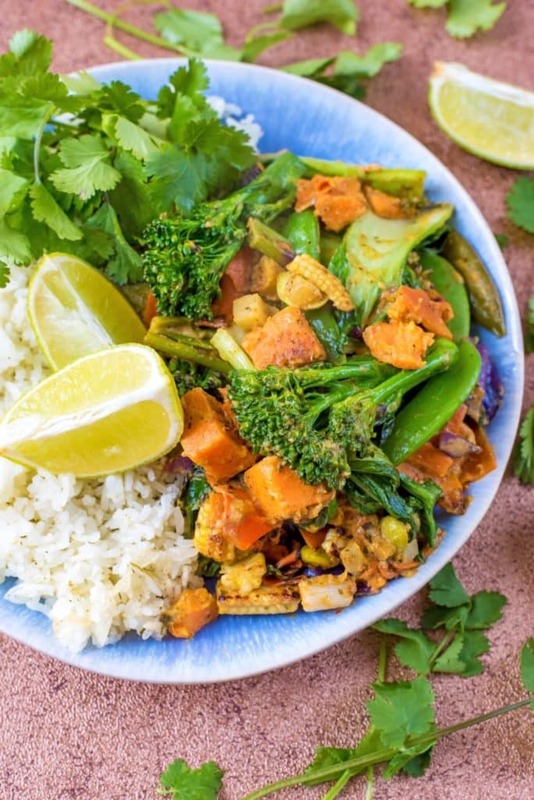 Why not save yourself some money and give this really easy Thai Green Curry a try? Add the lemongrass, garlic, shallots, ginger, chillies, coriander, lime, soy sauce and water to a food processor and blend until a paste forms. 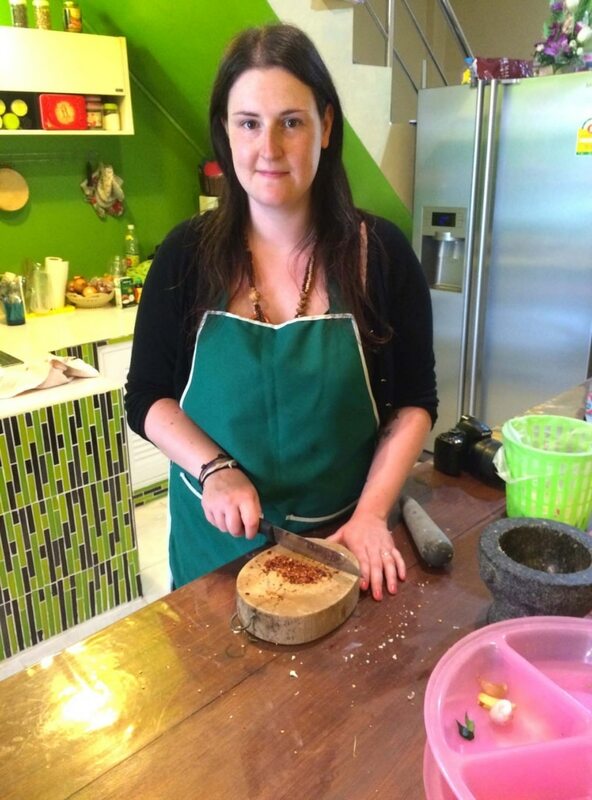 You can also use a pestle and mortar if you don’t have a food processor. If it is too thick, add a little more water at a time until it becomes a paste. 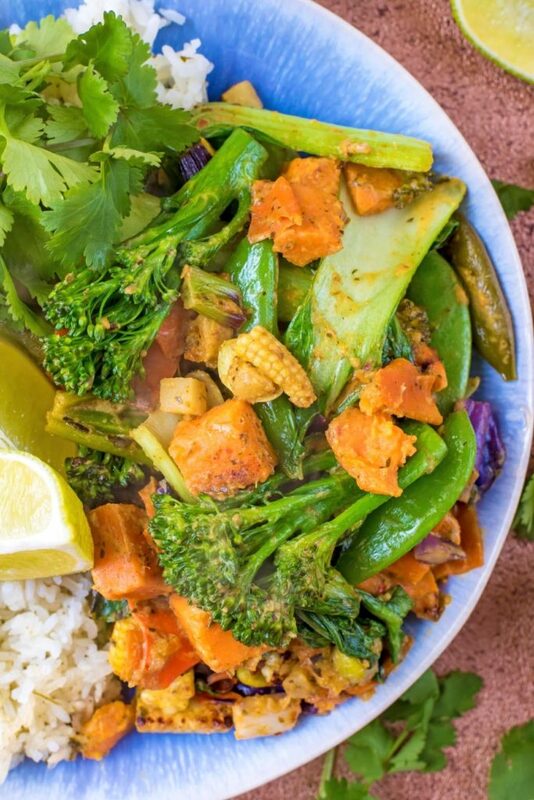 Heat the oil in a pan and add the butternut squash, sweet potato, shallots, red cabbage, tenderstem broccoli and baby corn. Cook for 5 minutes and then add the green paste and stir well. Add the coconut milk, pak choi, spring onions and edamame and simmer gently for 10 minutes. We have some other great Thai recipes for you to try: Give our 10 Minute Thai Noodle Soup a go, or maybe our Vegetarian Pad Thai. Or how about a Thai Yellow Curry? i’m obssesed with Thai curries! this looks so fresh and healthy! I love all the bright colors of those veggies! I want to visit Thailand so bad! But I think this curry will have to do for now. Great recipe!